MICHAEL MCLAREN @ Gear Music: Canada's Best Online Music Store! Michael McLaren began playing drums at the age of 12 after going to his first concert to see Bon Jovi. Immediately following the concert, he told his parents that he wanted to play drums. For the next six years, Michael studied drums with Darryl McWaters in order to develop his craft on the instrument. During that period, Michael attended high school and immediately joined the jazz band and concert band, under the direction of Peter Dooley and Carmen Gassi. Since Michael formed a close bond with his two music teachers, he began to develop a passion for teaching music. After high school, Michael further pursued his passion for music by applying to the Humber Jazz program. During his stay at Humber he studied with some of the most sought-after drummers in North America, including: Mark Kelso (the department head at Humber), Paul Delong, Don Vickery, Bob McLaren, and the great Larnell Lewis. Michael has played the Toronto circuit with numerous musicians that he met while studying at Humber. 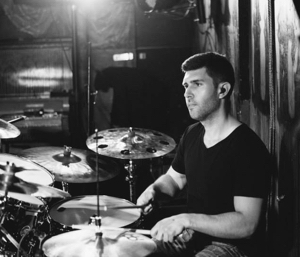 He has years of experience not only performing live, but also recording drums in the studio. Michael’s approach to teaching drums is fundamentally centered on being musical on the drums. Michael strives to bring out the best and fullest potential in his students. He specializes in and listens to a number of genres including: Rock, Jazz, Latin, Pop, metal, and progressive, but can appreciate all genres of music. Michael is known to be a patient teacher, but also acknowledges the diversity of each individual student. He is extremely excited and eager to share his knowledge and experience on the drums with his students at Gear Music.